Almost four decades ago, Mobile Suit Gundam aired in Japan and changed the way the country looked at giant robots. Here's a brief history of how Gundam established a new genre of anime, changed the way the West consumed Japanese animation, and became a cultural touchstone for the robotics technology of the future. When Mobile Suit Gundam first aired, one of its sponsors was Clover, who made toys to coincide with the release of the anime in its popular line of Chokogin die cast metal models, which had dominated the Japanese toy industry throughout the seventies. With the series over and seemingly done for, Bandai purchased the copyright to make new toys based on the mechs in the show — but unlike the die-cast Chokogin toys, Bandai's model kits were made of plastic. Coming in three different colors, and requiring gluing and painting to complete the model, Bandai's Gundam model kits were like no other toy on the market, and as they took off they sparked a huge resurgence of interest in Mobile Suit Gundam (it also helped that they were very cheap at the time — the first Gundam models were sold for 300 Yen, roughly $3, and even today tend to sell for around 1,000 yen for the average kit). Re-runs were performing well on TV, and theatrical compilations of episodes raked in money. Gundam was popular again thanks to Bandai, and its success helped establish the Real Robot genre as a true alternative to Super Robot shows. The franchise would carry on with Mobile Suit Zeta Gundam in 1985, and since then has gone on to produce dozens of new series and movies set in the myriad timelines of the Gundam universe. Likewise, Bandai's Gundam models — now dubbed "Gunpla", a portmanteau of "Gundam" and "Plastic" — of have continued to remain popular in Japan, with the mecha model kits essentially supplanting more traditional model kits as they've become more increasingly detailed and articulated as the technology behind producing them has advanced. Gunpla is currently celebrating its 35th anniversary in Japan, and its popularity has even been reflected within the franchise itself — three series of anime have been based on Gunpla: Model Suit Gunpla Builders Beginning G, Gundam Build Fighters and last year's Gundam Build Fighters Try. But for all its popularity in Japan, Gundam wouldn't really explode into wider popular culture across the world until the mid-'90s with the release of Mobile Suit Gundam Wing. Ironically, Gundam Wing did not perform all that well in Japan. 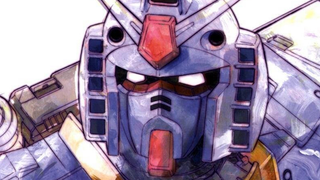 It was a modest success when it first ran in 1995, interest slightly dented in the fact that it ran in the "After Colony" timeline, a spinoff branch of the Gundam canon (there are multiple Gundam Timelines: Wing was the first in the A.C. timeline, while almost every series before it was part of the "U.C. ", or Universal Century timeline), but the series really found purchase when it became the first Gundam anime to air on American television. Although the compilation movies for Mobile Suit Gundam and several OVAs from the franchise had been dubbed and made their way to America, Gundam Wing was the first complete series to air on television, in the Toonami afternoon programming block on Cartoon Network. Interestingly, Wing aired in two forms on Toonami — an edited version ran in the day time, while an uncensored version featuring blood and profanity included in the original anime (as well as references to death — in the western dub, "death" was replaced with "destroy" as the intended audience was still young children). Gundam Wing was one of the first anime to air in the west without significant editing to the source material, and while it popularized Gundam and the mecha genre in the US, this meant it also broke considerable ground in the release of anime in the west on wider level. Considering how Mobile Suit Gundam was originally shunned by audiences for its all-too-realistic approach to mecha, 36 years later it's interesting to see that it is that sense of realism that has endured for the franchise — and is now inspiring the proliferation of mechanized suits in engineering and military research. Not bad for a series first cut short before its time.